To start with though, let's keep it all very Sinn. Business as usual, the new Sinn 206 Ar and ARKTIS. 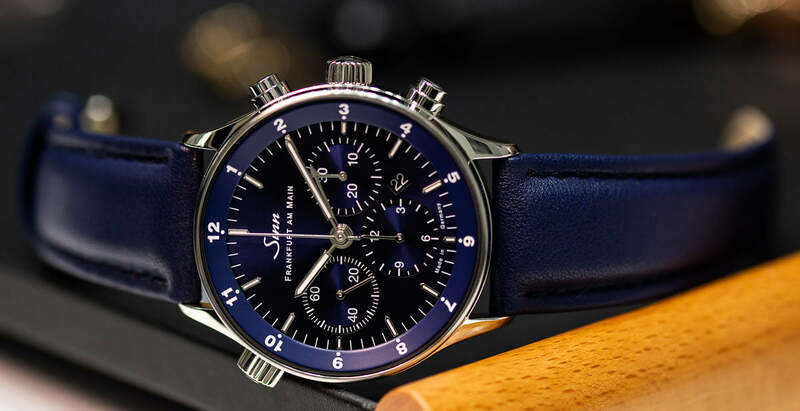 These two diving chronographs from Sinn breath a fresh bit of life into their range with their combination of stainless steel bezels, a metallic sunburst blue dial bright white accents with the hands and indices and of course the high level of build quality. Both these models come in at 43mm, so certainly not small. 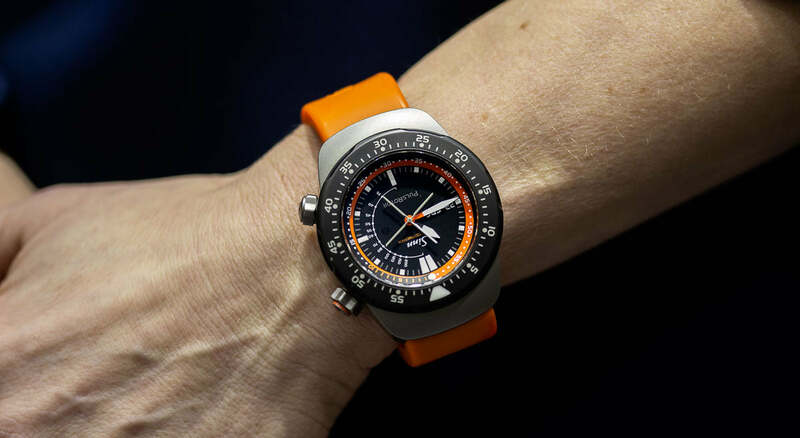 However, the rubber straps fitted to the watches enables them both to feel sporty and reliable. A strong release from Sinn and certainly something or Sinn fans. Now, this I wasn't expecting. The Sinn brand representative was telling me about how they receive demand for more dress watches from their customers. 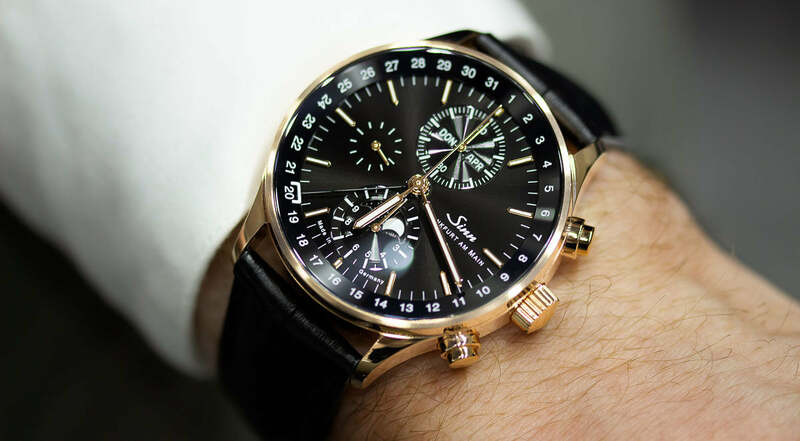 The model we have here is a limited edition run of 50 watches made of 18ct rose gold and well, its a moonphase from Sinn. The watch has been created to pay homage to the Frankfurt Financial District. This is obvious once you turn the watch over, as the rotor of the movement has been engraved with the Frankfurt skyline. The Sinn SZ06 movement powers the watch with real mother of pearl moon discs featuring on the watch. 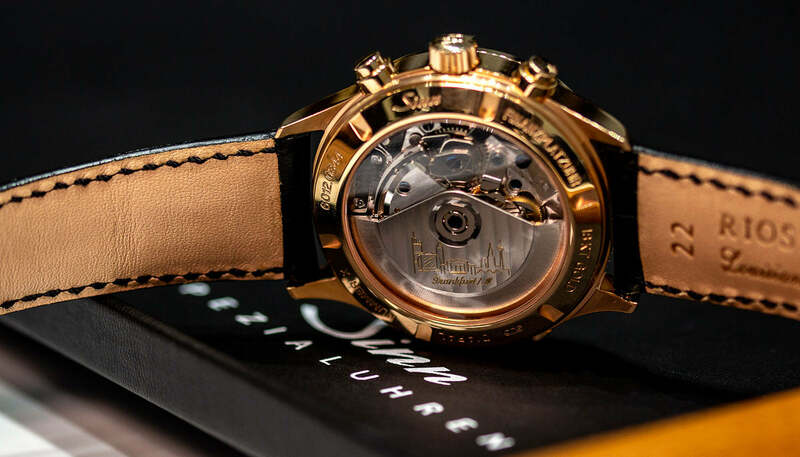 The movement sits in a 41.5mm case, with a 14.5mm thickness and a 22mm lug width. On the wrist, the watch feels bold and has a great wrist presence. The large deep black electroplated dial dominants the wrist feeling very special indeed. Here we find a 6012 in stainless steel. It still comes with the same case, movement design and size. However, now there is a bracelet option rather than just the two leather strap options of the rose gold model. Another benefit of this model is that fact it isn't limited, meaning availability should be a little better. One cool feature on these two models is the date hand which is related to a scale around the edge of the dial. The end of the hand is squared off with an opening at the end framing the date of the month in a very legible way. 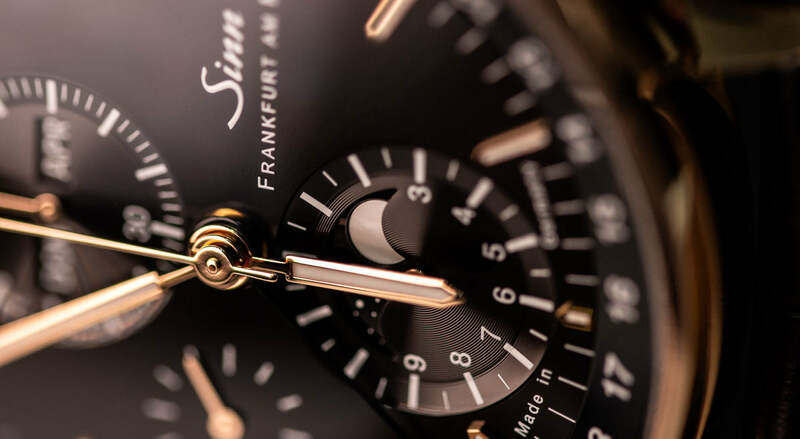 To further celebrate the 20th anniversary of the Frankfurt Financial District Watch, Sinn adds another model to their 6000 line in the form of the 6099 B. This is very similar to the 6012 we took a look at earlier, however its a chronograph. 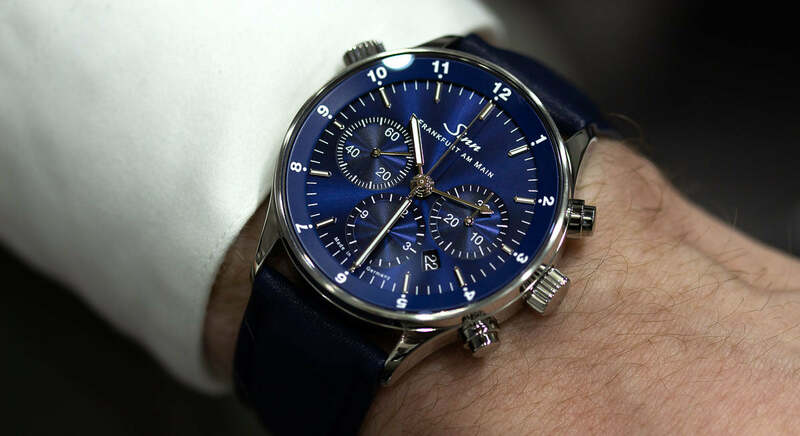 This new model features a blue dial finished with a high-quality sunburst decoration. A total of 200 of these models are being produced. Each will also feature an engraved rotor much like the rose gold edition. 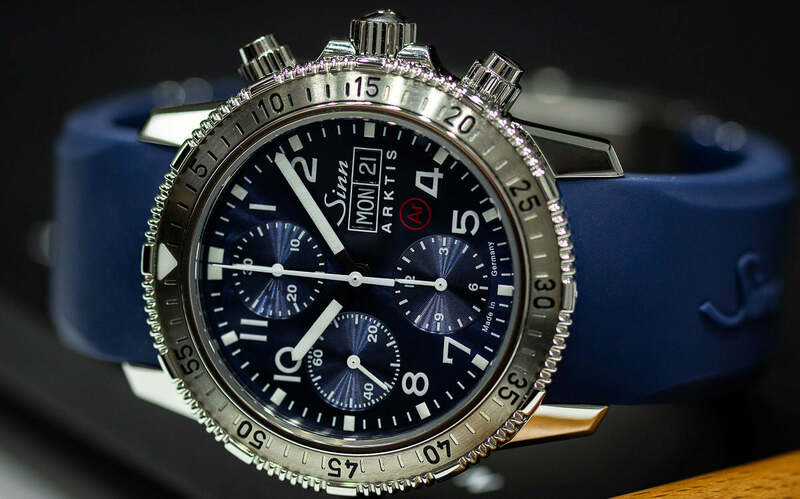 The blue dial on this model is my favourite of the latest Sinn releases. The sunburst really pops in certain light. 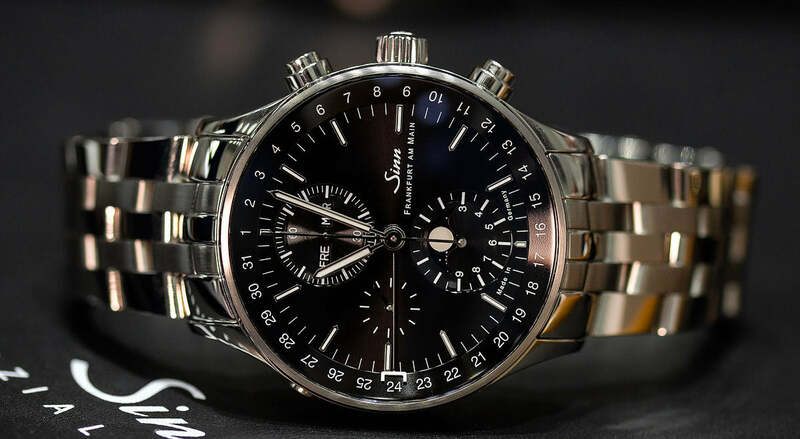 The fact this model has a more traditionally balanced layout with the chronograph subdials feels a little more visually symmetrical. 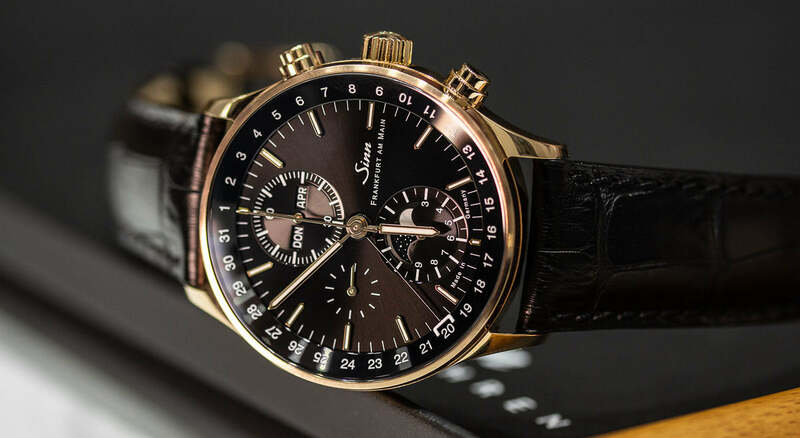 This edition comes in at a lower price than the rose gold 6012 edition, making it a fantastically solid option if you're looking to pick up a limited edition Sinn this year. 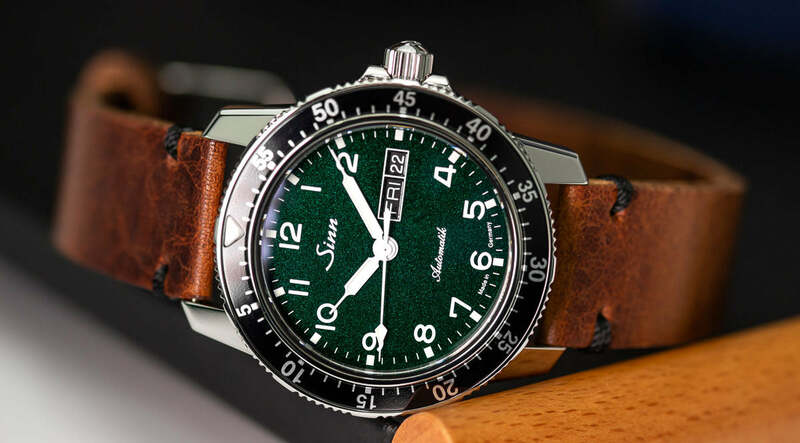 Finally, the last model we saw at Baselworld 2019 was the Sinn 104 green dial limited edition. Finally, as we were wrapping up our meeting, I remembered the Sinn 1800 Damascus released towards the end of 2018. This model was limited to 100 models, so it was definitely worth taking the most of the opportunity while we were with Sinn to take a look at it in more detail. 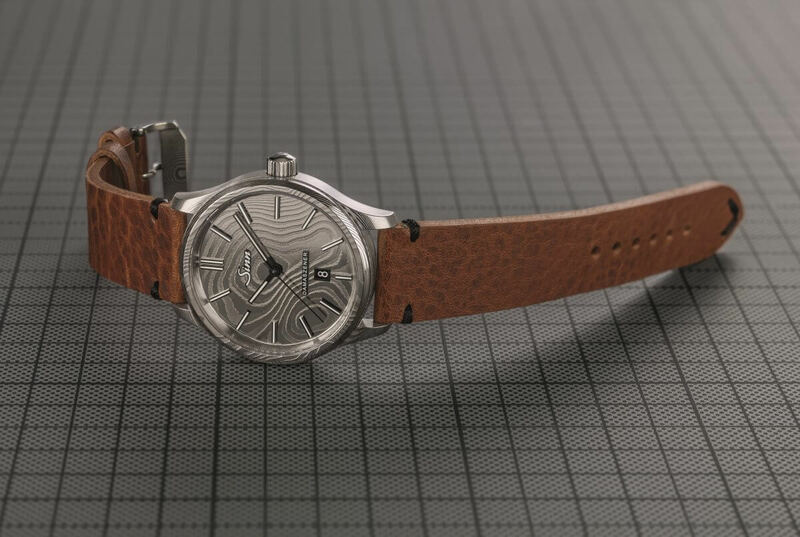 If you remember from last year, this model is made from Damascus steel (in fact, the dial, case, and bezel are all made from the same piece of steel). The watch feels and looks so unique in person, well worth checking out! So Sinn's 2019 releases. What do I think overall? 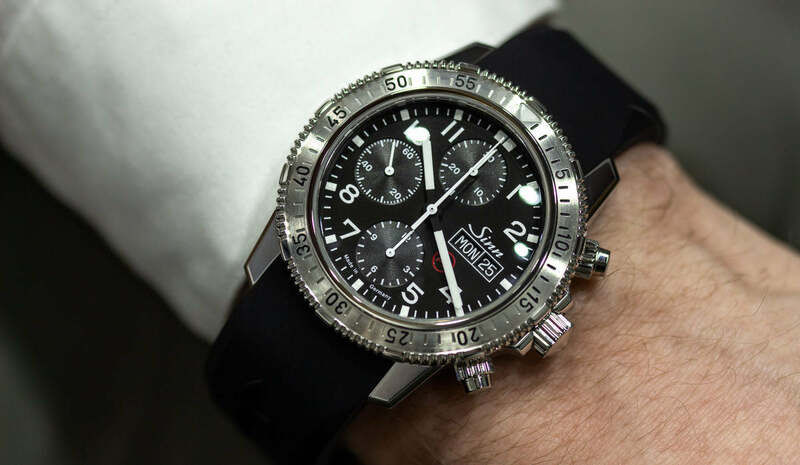 Well, I personally like Sinn for creating solid, durable well-built tool watches that can survive almost anything. Saying that I do like to see brands sometimes create something people don't expect to see from them. It's always interesting to see how my expectations of a brand can change based on a few releases. 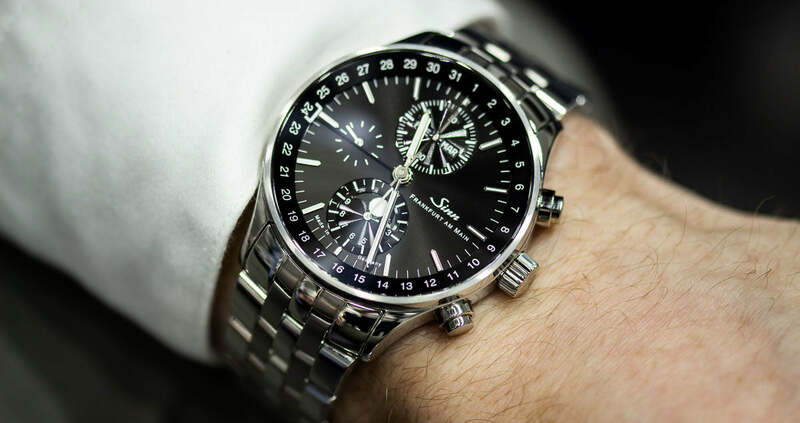 Find out more about all the Sinn releases here!